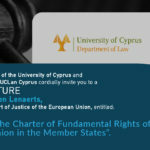 The course, unique to Cyprus, blends the English legal heritage with the current Cyprus law. For the benefit of our local students, education on the two systems is combined within some modules and, in those instances where the law is very different, separate Cyprus law modules are provided. Thus, our local students will graduate not only with an outstanding knowledge of both English and Cyprus law, but also have knowledge of legal terminology in both English and Greek, besides fluency in both languages – essential in an ever more globalised world. It is important to note that the course has been designed in such a way so that students can avoid, if they want, all instruction in Cyprus law, be taught entirely in the English language and follow a regular UK LLB curriculum. The theory of law is well-represented with two modules (Thinking and Arguing Law, and Jurisprudence), charting 2,500 years of legal philosophy from Plato to Aquinas, Bentham to Herbert Hart. These, together with other key modules, such as The Classical Foundations of Modern Law, teach students the latin legal terminology and knowledge of its derivation. The compulsory module European Union Law is supplemented with EU Single Market Law for those wishing to acquire detailed knowledge of the single market and the regulation of anti-competitive conduct. International Law is well-served with modules in both Public International and Private International Law. In addition, human rights modules examine not only the European and International, but also the municipal legal architecture in this most vital of fields. Finally, conscious of Cyprus’ continued international outlook and the increasing globalisation of legal relations, a module is offered in Comparative Law. The LLB at UCLan Cyprus is the only Law degree on the island validated by the Solicitors Regulation Authority and Bar Standards Board of England and Wales. Exclusive in Cyprus, LLB graduates from UCLan Cyprus shall obtain the same qualifying law degree, with identical rights, privileges and entitlements, as any LLB graduate from an English or Welsh university. As a result, our graduates will have the opportunity to sit their professional law exams in London, for instance, without having to return to university in order to obtain a qualifying law degree first. During these challenging economic times, globally, it is important to know that a UK qualifying law degree is accepted by (law) professional bodies in a number of different countries around the world, including Cyprus. Additionally, the LLB has also been recognised as a qualifying law degree by the Cyprus Bar Council. In addition to the modules (including Cyprus law modules) listed above, instruction (at no further cost) is offered also in the following subjects: Cyprus mooting skills; Cyprus Employment Law; Cyprus Contract Law; Cyprus Criminal Law; Cyprus Law of Torts; Cyprus Family Law and Cyprus Company Law. The LLB (Hons) course at UCLan Cyprus has been accredited by the Solicitors Regulation Authority and Bar Standards Board (respectively the regulatory bodies for solicitors and barristers in England and Wales). With this important accreditation, the LLB at UCLan Cyprus is recognised as a qualifying law degree, providing exemption from the academic stage of professional legal training for those who wish to become solicitors or barristers. Additionally, the LLB by UCLan Cyprus has also been recognised as a qualifying law degree by the Cyprus Bar Council. Graduates will hold substantive legal knowledge and key transferable skills valued highly by employers. Law graduates are highly employable in a wide-range of careers: legal profession; public and private sector administration and management; advisory services; ancillary legal professions; legal enforcement and regulation services; business, banking, insurance and financial services; primary, secondary and tertiary education. The LLB course, unique to Cyprus, blends the English legal heritage with the current Cyprus law. 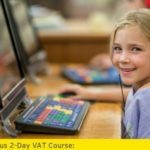 For the benefit of our local students, education on the two systems is combined through the teaching of different modules. Some modules, like ‘Introduction to English and Cypriot Law’ cover material from both legal systems, while in those instances where the law is very different, separate Cyprus law modules are provided. Thus, our local students can graduate not only with an outstanding knowledge of both English and Cyprus law, but also have knowledge of all legal terminology in both English and Greek – essential in an ever more globalised world. Students have the opportunity to undertake extra-curricular modules that mirror both the core modules of the Cyprus Bar Association exams and compare Cyprus law with the legal foundations of law in the UK. It is important to note that the course has been designed in such a way so that students can avoid, if they want, all instruction in Cyprus law and follow a regular UK LLB curriculum. The LLB at UCLan Cyprus is the only degree on the island validated by the Solicitors Regulation Authority and Bar Standards Board of England and Wales. Exclusive in Cyprus, LLB graduates from UCLan Cyprus shall obtain the same qualifying law degree, with identical rights, privileges and entitlements, as any LLB graduate from an English or Welsh university. As a result, our graduates will have the opportunity to sit their professional law exams in London, for instance, without having to return to university in order to obtain a qualifying law degree first. During these challenging economic times, globally, it is important to know that a UK qualifying law degree is accepted by (law) professional bodies in a number of different countries around the world, including Cyprus. Additionally, since 2016, the LLB of UCLan Cyprus has been recognised as a qualifying law degree by the Cyprus Bar Council. In order to further help students develop the relevant employability skills, personal development planning (PDP) is embedded throughout the curriculum. PDP is developed in three modules: LW1101 Lawyers’ Skills and Personal Development (Year 1), LW2020 Legal Research and Reasoning Skills and Personal Development (Year 2) and LW3092 Lawyers’ Skills: Interviewing and Advising, Negotiation and Personal Development (Year 4); together, these comprise a compulsory ‘skills spine’ across the LLB programme. In LW1101, workshops on PDP are used to engage students with the process of reflection and portfolio planning. The following year, these skills are consolidated and extended in LW2020, which focuses on critical reasoning skills and career planning. To supplement these skills, a programme of guest speakers from industry, business, legal practice, the police, probation service and visiting academics supports career planning and employability objectives by encouraging students to focus on CV writing, best practice in application form writing, and preparing effectively for interviews. In their final year, students consolidate these skills further and then extend them in LW3092 through participation in legal interviewing and negotiation scenarios. Students are also able to develop the above skills required for a legal career through the LW3031 Placement module, which offers an opportunity to the students to undertake a placement of four continuous weeks within an appropriate legal working environment. Aside from the Placement module, students could gain better understanding and knowledge on how the law works in the real world through the modules of Mooting and Legal Debating (LW2004) and the Law Clinic (LW3036). As the Law School recognises the importance of helping students develop and practise their skills in advocacy, an extra-curricular class on Cyprus Mooting Skills is also offered to the students. Various extra-curricular activities such as the Mooting & Debating competitions, the Annual Willem C. Vis International Commercial Arbitration Moot (Vienna), the Guest Lecture Series and the Model United Nations events, have proved to be of great benefit to the students in gaining significant knowledge and understanding of the practical implications of the law. Throughout the LLB, students are encouraged to create a portfolio of evidence which demonstrates how their skills have developed, using techniques such as self-reflection and peer review of their own and others’ personal development. They also have access to a social enterprise vehicle (called ICLAIM – Interdisciplinary Centre for Law, Alternative and Innovative Methods) created by academics of the School of Law so that they can develop their practical and entrepreneurship skills and projects in collaboration with the industry. Finally, there are plenty of opportunities for student engagement with the relevant industries (memoranda of understanding and vocational scheme are in place) and professional bodies both in Cyprus and in the wider region (through various activities such as the Annual Law School Dinner, Guest Lectures and Roundtable Series with current and former judges from national, European and international jurisdictions and senior public officers), but also through the School’s internship and graduate traineeship scheme with law firms in Cyprus as well as the possibility of shadowing serving judges, including in the UK.